Here in Cornwall today it was beautifully sunny and rather warm, definite summer weather in my book! When I think of summer there a few things I think of: sun, heat and...ice cream! 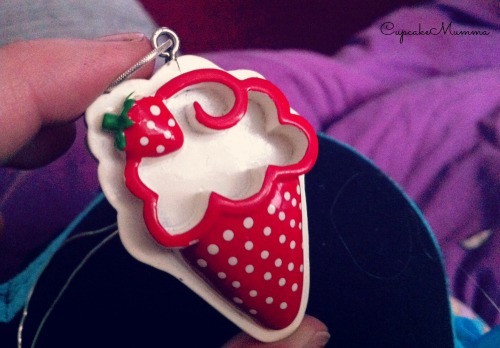 I was browsing the chairty store a little while ago and came across a cute pendant for a necklace in a little basket of 50p bits and bobs. I remembered my sister had something identical as a youngster so I recreated it. 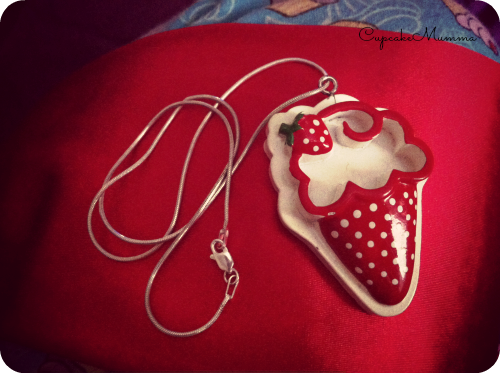 Using an old necklace chain, I simply popped the newly loved pendant onto it and admired the summery feel it oozed! I hope you like? I'll be getting the ice cream put on a slightly longer chain, but for today it's fine! Fabulous.....definitely Summer for me although my lot would eat ice cream 24/7 all year long! Brilliant idea hun. Looks great. Really like this make! It's gorgeous and loving the idea! 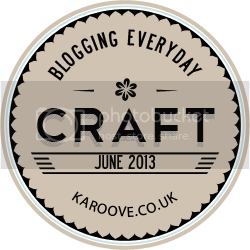 A craft a day...much respect to you! Oh great another Cornwall blogger yey!